There is no reason to invite a disaster by way of an interim order, said the Bench. 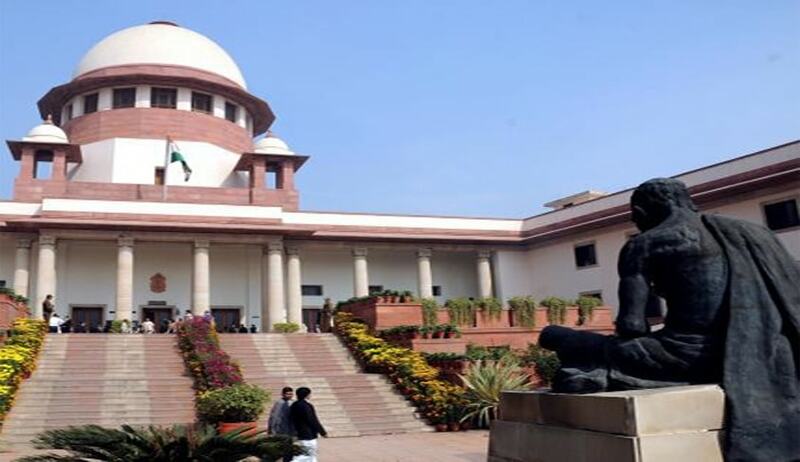 Supreme Court on Tuesday held that the High Courts should not pass interim orders in the matters of college admission, more so, when the institution had not been accorded approval. A division bench of Justices Dipak Misra and Mohan M. Shantanagoudar was considering an appeal filed by Dental Council of India against an interim order passed by a vacation bench of Bombay High Court in favour of Dr. Hedgewar Smruti Rugna Seva Mandal, Hingoli staying the Government’s communication disapproving the scheme of the College for starting MDS course. The High Court observed that the controversy required consideration and as the matter could not be finally adjudicated, the circumstances required interim direction and stay of the impugned communication. The Supreme Court said the order amounts to granting permission for the admission of students in certain courses in a college which had not received approval. Deprecating the practice the Supreme Court observed that such kind of interim orders are likely to cause chaos, anarchy and uncertainty. And, there is no reason for creating such situations. There is no justification or requirement. “The High Court may feel that while exercising power under Article 226 of the Constitution, it can pass such orders with certain qualifiers as has been done by the impugned order, but it really does not save the situation. It is because an institution which has not been given approval for the course, gets a premium. That apart, by virtue of interim order, the court grants approval in a way which is the subject matter of final adjudication before it”. The Bench also said that a Judge has to constantly remind himself about the precedents in the field and not to be swayed away by his own convictions. “The High Court has to realize the nature of the lis or the controversy. It is quite different. It is not a construction which is built at the risk of a plaintiff or the defendant which can be demolished or redeemed by grant of compensation. It is a situation where the order has the potentiality to play with the career and life of young”, it said. The Bench has considered the fact that the college has been granted approval for the academic session 2017-2018. By virtue of the interim order passed by the High Court, three students had been admitted and they are prosecuting their studies. Taking a balanced stand the Court directed that students who have been admitted shall be allowed to continue their courses, but their seats shall be adjusted from the academic session 2017-2018. Court also directed the College to deposit a sum of Rs. 30 Lakhs before the Registry of the Court within eight weeks. “After the amount is deposited, it shall be determined how to deal with the sum. The costs that has been directed to be deposited before the Registry of this Court shall in no manner be recovered from the students who had been admitted nor shall it be collected from the students who will be admitted to the course in the next year. That apart, the respondent-college shall not think of any kind of adjustment”, the Bench directed.